Dehradun, June 4: The fast-pious devotees who have reached the Kedarnath shrine in the last one month have been convinced that the number of pilgrims who reached Kedarnath Nath Dham this time will be much higher than the previous years. In the past one month, 5, 10,102 pilgrims have reached to have Darshan in Kedarnath Dham till June 1, whereas, during the entire year last year, 4,71,000 pilgrims had visited Kedarnath. 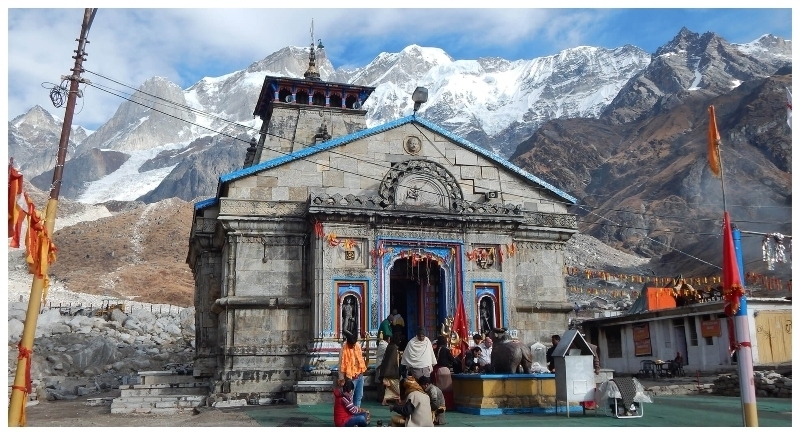 On April 29, Kedarnath Dham's cupboard was opened for the devotees, due to which more than 25 thousand pilgrims broke the record on the very first day of Kedarnath. Every time more devotees reached the Badrinath than Kedarnath but this year the scene is different, devotees have increased their steps more towards Kedarnath than Badrinath. According to the tourism department, after the disaster in 2013, the number of pilgrims is increasing to see the reconstruction work of Kedarnath Dham and helicopter service. Along with this, the speed and promptly of the development work were carried out in Kedarnath which attracted the attention of the people. Apart from this, mythological beliefs of Dham are also being drawn to people. After 2013, the journey has been completely stagnant for two years, after which the number of pilgrims increased in 2016-17. But this year's figures seem to have made the trip back on track.